Belvoir presents, THE DANCE OF DEATH, by August Strindberg, from a literal translation by May-Brit Akerholt, in the Upstairs Theatre, Belvoir St. Surry Hills. November 10 - December 23. 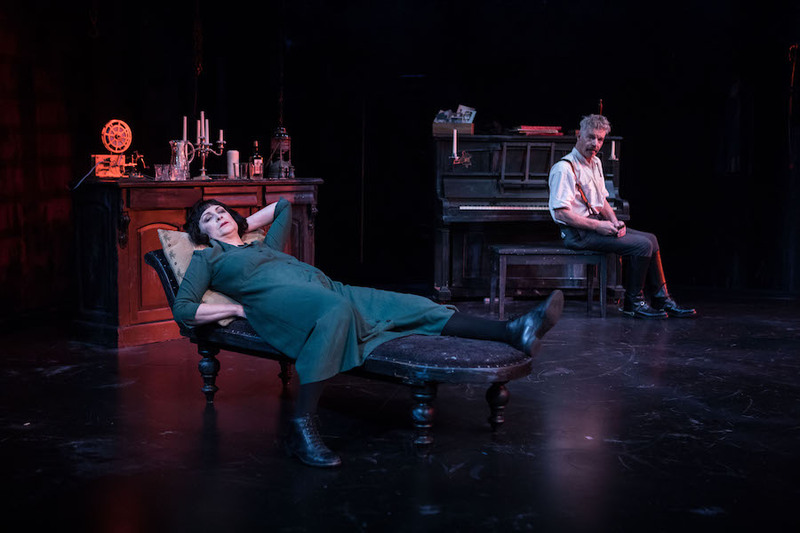 Judy Davis, as Director, has devised with her company of actors: Giorgia Avery, Colin Friels, Pamela Rabe and Toby Schmitz, a production of August Strindberg's THE DANCE OF DEATH, using a literal translation by May-Brit Akerholt. August Strindberg is a famous Swedish playwright, novelist, poet, essayist and painter. Most of the English speaking world is familiar with his playwriting, but in Sweden he is equally renowned for the multi-disciplined artistic and social output across a sixty-three year of volatile and controversial curiosity. He was born in 1849 and died in 1912. His work is marked by its reflection of what was happening to him in his intellectual 'rummaging' throughout his life - his own personal experiences shaping his output and the many embraces of what he sensed and discovered, the collective output often revealing contradictory points of view. He had three marriages (all three women younger than he, and actors) and 5 children, between them all. He experienced sanity and 'madness' (reflected in his literary output as INFERNO). He was a deist and atheist. He embraced Darwin, Nietzsche and spiritualism. His life's output a chaos of personal tussels, each one of them virulently held for as long as it seemed relevant for him. Each stance changed when he was revealed another way to explain the reason for life, for his existence. 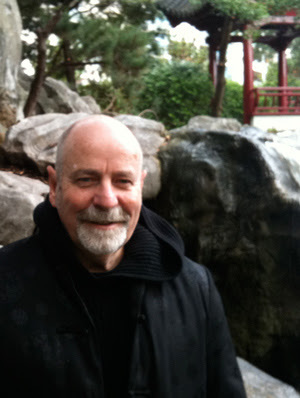 His playwriting styles altered as he discovered new interests and 'grew', evolved. He has work that reflects 'naturalistic tragedy, monodrama and history plays to his anticipation of expressionist and surrealist dramatic techniques.' The English speaking world is familiar with his naturalistic explorations in plays such as THE FATHER (1887), the famous and groundbreaking, MISS JULIE (1888) and CREDITORS (1889), to the later period of THE DANCE OF DEATH I and THE DANCE OF DEATH II (1900), THE DREAM PLAY and THE GHOST SONATA (both, in 1907), which worked in the writing realm of Symbolism, Expressionism. He wrote THE DANCE OF DEATH I in May, 1907, and in the 'critical' response to it – wrote THE DANCE OF DEATH II, later in the same year, in November. Both plays are of full night length. Belvoir is giving us THE DANCE OF DEATH I - the play most favoured, explored, famous. Edgar (Colin Friels) and Alice (Pamela Rabe) have been married for nearly 25 years, have borne 4 children, with 2 surviving, both of them deserting the home ground as soon as they could, which is an isolated 'tower' on an island off the coast of Sweden. Edgar is a Captain in charge of a regiment of soldiers, in the relative 'boondocks' of influence. Alice was once an actress. Their situation is fraught with poverty and boredom, mismanagement and paranoia. There existence together is rotting in the latter degrees of loathing but are bound in the games of mutual destruction. There is in their hatred a kind of love. The world about them, the humans that they are in contact with, servants, soldiers and relatives, become joint sources for projected torture. Kurt (Toby Schmitz) visits, and he becomes the unwitting victim of both, in a game of destructive one-upmanship. Kurt becomes the 'toy' that they systematically compete to destroy. THE DANCE OF DEATH, is a famous portrait of a deteriorated marriage, that will not divorce or separate. It is reminiscent of the love-games of the Vicomte de Valmont and the Marquise de Merteuil in Laclos' novel of 1782, LES LIAISONS DANGEREUSES, where both enjoyed the cruel games they inflicted, and boasted of their manipulative skills. It inspired the Edward Albee play: WHO'S AFRAID OF VIRGINIA WOOLF? and the coruscating GET THE GUEST act. It has a famous history of great actors taking on the challenge of Edgar and Alice, that keeps it in the contemporary repertoire. Actors of great skill need to have the confident chutzpah to begin to tackle these roles and this play. Alone and isolated from two of his wives and his children - with another winter/spring relationship to come - his mental stability unsure, his monetary surety in a parlous state, debt ridden, Strindberg tries to blow to bits the idea of male and female partnership with a withering and bitter savagery. The last production of this play in Sydney was probably the Sydney Theatre Company production with Rhys McConnachie and Gillian Jones. From memory it had very few laughs. Ms Davis and her collaborators seem to have taken inspiration from Sir Jonathan Miller's 1986, essay, SUBSEQUENT PERFORMANCES, which eruditely investigates the possibilities, the manner, the way, to bring to life the classic play for contemporary audiences. Looking at those plays as if they were newly minted, written. For, this production of THE DANCE OF DEATH, at Belvoir, is a 'laugh, comic, riot' that shakes any memory or pre-conceived vision of how it ought to be done with the rigour of the spirit of the social and cultural critic that Strindberg always was. An artist whose antennae was literally vibrating to the zephyrs and hurricanes of the zeitgeist about him, whether it contradicted his last 'statement' or not, that either enhanced his standing as an artist, or destroyed it. These present artists at Belvoir seem to be vibrating to Trumpian times where laughter may be the only way to deal with the chaos around what were once the Pillars of our Community, to be able to continue to move forward. And what more central Pillar than that of the sacredness of Marriage (and family) could be targeted for the personal conscience of each member of our middle-class audience, 'straight' or 'gay'? Let's embrace the subversive nature of our times and blow this bourgeoise concept up. Brian Thomson has Designed a beautifully lurid space. A circle of black marbled floor, with a few pieces of necessary furniture: chaise lounge, dilapidated upright piano, low slung cupboards with doors, fuming with the perfumes of alcohol, upturned chairs and a table, and props - including a 'spooky' mechanical telegraph spool that taps out communications in code that appear to be pregnant with forebodings - all surrounded by a moat of fetid blood red water junked with debris - it obviously used as a dumping ground for domestic refuse - bridged at one edge by a wooden slated cross-over, with faded blood-red Ingmar Bergman-like walls (or just the usual Swedish interior decor tradition?!) decorated with fading indecipherable images, encasing-hovering about it, with, at one edge of that wall a portrait of Alice in actor pose decorated with wreaths of blue be-ribboned vine leaves on either side, hanging within reach, if you climb a rickety metal ladder, anchored in the moated waters. There are, as well, swaying chains with clothes hooks (meat hooks) dangling down. The Lighting by Matthew Scott haunts the space atmospherically, augmented with candle light, occasionally, and flecks of lighted reflection of the water onto the walls emanating apprehensions of the spectral, of a prison, as a ghostly helmeted shadow (Hamlet's father's ghost?!) parades before us, every-now-and -then. Supporting this gloom laden space is a wonderfully, detailed and deliberately dissonant score - especially, for the piano - that activates the action of a predictive dance with death, The Entry March of the Boyars (Johan Halvorsen), towards death, by Paul Charlier. The play seems to be set in the twentieth century naughties with Alice dressed in a slime-green full length dress, conveniently buttoned up-the-front, who later on appears in a vampiric red, bustled costume - from this actress' Alice's wardrobe, one presumes - and a set of wigs that produces a futuristic image - for the setting of this play - reminiscent of silent movie risqué vamps such as Theda Bara (a famous Salome) or, the irrepressible Louise Brooks (the famous Lulu, of PANDORA'S BOX). Of course, the Captain is in a rumpled uniform (sky blue jacket) that would not pass muster on a parade ground inspection, with knee high black boots, with at times, broad sword and spiked helmet. Kurt wears beneath an oddly shaped overcoat, a long set of period tails. (there is no Costume Designer noted in the program, rather a Costume Supervisor, Judy Tanner). When we enter the theatre, Alice is posed/poised on the chaise and Edgar sat at the piano, in a suspended time freeze, waiting to be activated, perhaps, by the gaze and attention of an audience. The dialogue of this production has been adjusted for the contemporary ear with close adherence to the literal translation (and notes) from the expert translator, May-Brit Akerholt, and we are soon launched into the bracing, chaffing married relationship of this couple isolated in the army citadel. From the start, the signals of the comic tenor of this production performance are given. Colin Friels, is startling in his energetic crispness of voice and speech intention, accompanied by a physical capacity of a military man that has developed a second-nature body memory of discipline that belies his age and decrepitude, frightening us with the possessed passion of the famous Dance of Death to the Entry March of the Boyars (Choreography, by Thomas Egan), as well as fighting off the freezing paralysis of a heart that seems to be blocking the pumping of the life force of his blood. This man is mad with manic dread and the need to fight to maintain a life force, so levers whatever advantage he can to feel alive, by prickling, provoking, his married partner to extremities of excess. He is as ruthless with her as he is in his diabolical manipulation of Alice's young cousin, Kurt, torturing him into a state of vampiric blood-drinking, blood-letting. Mr Friels' performance sits as a fulcrum between sanity and insanity, with the wide-eyed visions of the catastrophic reality he finds himself in - age - and the over-heated efforts to overcome that - giving us a bi-polar swing, echoing the dangerous chains and meat-hook ends visually supplied in Mr Thomson's Design. Countering the savage relationship offers of Edgar, Ms Rabe's Alice is an unbridled oozing green-pustule of viciousness stoked by the frustration of an actress - I AM AN ACTRESS, claims Alice in the middle of her warring - forced to retire from the stage to play in the game of marriage only to find it a dance of death. How great or mediocre Alice's festering talent is/was is the sickly conundrum that bubbles and boils before us - but there is no mistaking the motivation of her urges - anger and revenge. Ms Rabe has always, for me, shown a perspicacity to wrinkle out the comic possibilities of every creation she has had, whether fully appropriate or not - it was part of my disturbance with her performance work in the recent production of THE CHILDREN, for the Sydney Theatre Company (STC), though, my dis-ease goes as far back as most of her work for the Sydney Theatre's Acting Residency Company, under the Direction of Artistic Director, Robyn Nevin for the STC. In THE DANCE OF DEATH, Judy Davis has permitted and encouraged Ms Rabe to unleash her comic sensibilities in an undiminished torrent of astonishing invention and excess. Bent at her ankles and knees and, as well, at her waist, she leans forward, deliberately stooping to disguise her height, flourishing her hands in busy, distracting detailed gestures of emphasis with a tilted head and over articulated mouth, striking and pitching the room furniture for melodramatic-comic affect whilst attempting to devour all the oxygen in the room to suffocate her victims, her husband Edgar, and even more ruthlessly, her cousin, Kurt - even going so far as to semi-undress to pendulous nakedness to seduce and manipulate him to her ends. The American comedian Carol Burnett, in her days of television vaudeville (The Carol Burnett Show - 11 seasons from 1967-78) could not have created a more complete persona of comic sexual desperation. I sat there thinking, as well, that what Maggie Smith was to the British Theatre, Ms Rabe might be to the Australian theatre - having over the years revealed a studied humour with a penchant for comic campery (or, is it kitch? ), not only as characteristics for her acting challenges but as a personal mark of her gifts - will one ever forget her tottering, full-height, amble down centre stage - Ms Rabe's creations often find the centre stage - slipping, with poised manufacture, on the ejaculated sperm that had metaphorically gushed out in one of the episodes of THE LOST ECHO? No. Toby Schmitz in playing Kurt, a character written to react rather than to activate the action of the scenario, is perforce having to play in a handsome restrained mode. Mr Schmitz's intelligence and skills manage to find a substance of focus that, nearly, balances the assaults from Edgar and Alice to hold his ground as an object of independence in the events of the play rather than just a convenient cipher for the actions of the warring married couple. It is an admiral gift of work from Mr Schmitz. This production is a startling and controversial lens through which to see Strindberg's famous play. It will antagonise or please - and, it will definitely surprise. There is no doubt concerning the theatrical intelligences of these famous artists: Judy Davis, Colin Friels, Pamela Rabe, Toby Schmitz, Brian Thomson, Paul Charlier and Matthew Scott; and there is no need to question their earnest sincerity and, even most importantly, their respect, for the source material, so what they have created, concocted is worth dealing with absorbing. You may not agree but you will be provoked. Does it work? I'll leave that for you to find. But, I feel that both August Strindberg and Sir Jonathan Miller, would be pleased with the iconoclastic assault on this 'revered' (over revered?) masterpiece. Judy Davis has blown everything to bits. N.B. There is no biographical note for the writer August Strindberg in the program. Beloved once again neglecting their responsibilities to their writers. Ibsen, last time. !!!!!! ????? Interesting review,many points were made. I LOVED IT.